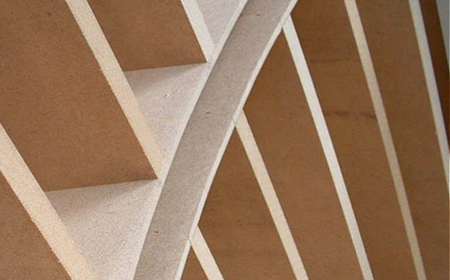 MDF-UltraLight has been produced with an average density that is approximately 30% lighter than MDF density product. Panels can be laminated and machined, however these operations do require more care in order to produce a high quality result. MDF-UltraLight is suitable for interior applications where weight of the finished assembly is an important consideration. Caravan and mobile home fittings are good applications for MDF-UltraLight. Try MDF-UltraLight as a substrate for overlaid benchtops either as a single thickness panel or in multiple laminated panels to give the desired bulk.